The MC3190-Z is a business-class handheld RFID reader designed specifically to extend the benefits of RFID beyond industrial spaces and into customer-facing and business environments. It starts with the signature rugged design and high performance that Motorola industrial handhelds are known for, and adds an advanced, high efficiency Zebra RFID reader engine for faster read rates and higher throughput. Add a groundbreaking new antenna design that drives RFID performance to new heights and the result is a highly versatile device that is at home in customer-facing environments—from retail stores and healthcare facilities to the business office. Lightweight, ergonomic pistol grip design. Built for all day comfort; reduces user fatigue in read- and scan-intensive applications. Zebra’s patented omnidirectional MAX RFID Antenna. Easy and intuitive interface; reduces training time and costs. A unique combination of intuitive audible and visual cues easily guides workers to a specific item: as the device moves closer to the desired item, a beep tone increases in frequency and volume, while a sliding graphical bar increases in size. Easy-to-use Application Programming Interfaces (APIs). Connects to virtually any wireless LAN for easy integration into any wireless enterprise environment; enables real-time wireless data capture anywhere in your environment. Zebra MAX Rugged: meets and exceeds MIL-STD 810F standards for drop, tumble and sealing. Built for all-day enterprise use; provides dependable operation despite the inevitable drops and spills; provides extended lifecycle; withstands wipe downs. 320 x 320 display with backlight. Omni-directional bar code scanning; wide working range, faster aiming pattern. Withstands multiple 4 ft/1.2 m drops to concrete. Swipe speed programmable up to 100 inches/254 cm per second. Zebra Digital Scanner with UHF RFID Reader (Standard Range, Twilight Black, Integrated RFID 902-928 MHz, USB Cable, Power Supply and Cord). 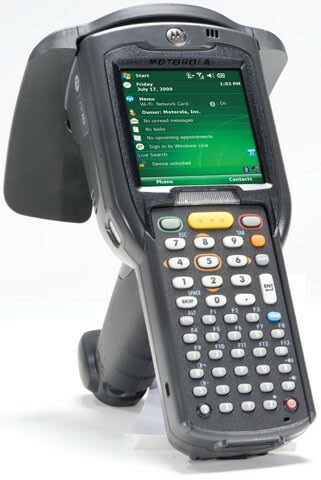 The DS9808-R is a ground-breaking POS device that represents two Zebra firsts. 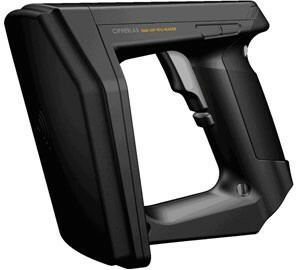 The DS9808-R is not only the first combination 1D/2D bar code scanner and RFID reader, it also represents a new RFID product category the first combination handheld/hands-free UHF RFID reader. In addition to UHF RFID tags, the DS9808-R offers the very latest in imaging technology, delivering record swipe speeds for 1D and 2D bar codes, as well as the ability to capture images and signatures. Available for use in the United States, Canada, and Mexico. 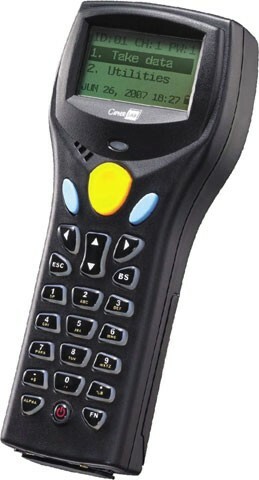 The best in class standard among handheld RFID readers is the Zebra MC9190-Z. Greater accuracy provided by its RF sensitivity and read range up to 30ft, this handheld reader brings your data to your fingertips. Quicker, more frequent inventory scans without line of sight will improve accuracy within your application. Asset tracking and inventory management are two large applications that the MC-9190-Z is made for. 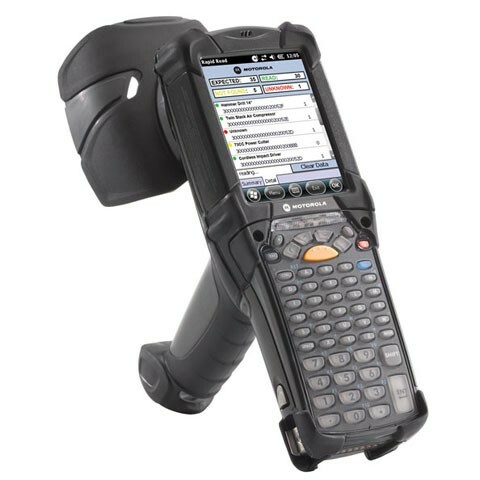 The Zebra MC9190-Z RFID Handheld Reader is equipped with the latest advances in mobile technology and provides support for the richest enterprise applications. Whether your application is simple or complex, the MC9190-Z delivers performance you can count on — from the latest Intel processor designed for the specific demands of mobility, to robust persistent storage capabilities and multiple advanced data capture options. Windows Mobile 5.0 provides your workers with a familiar feature rich environment — and reduces training requirements. The ability to read and encode RFID tags, capture images as well as scan bar codes enables enterprises to deploy a single device in many business areas, eliminating the need and associated costs for multiple devices in multi-modal data capture environments. Workers can count on ample battery life for a full shift through superior power management. And modular keypads, a rugged touch panel and a display that is easy to view inside and outside provides us ers with maximum readability, ease-of-use and comfort. Handheld, on-the-spot RFID capabilities remove the dependency on fixed readers installed at typical choke points, enabling efficient exception handling, pricing audits and changes, stock picking and more. The superior construction is designed to withstand rigorous use in extreme environments and a wide variety of working conditions, providing the flexibility to be used on the manufacturing floor, in the warehouse, on the loading dock, and out in the yard as well as in the back room or out on the sales floor of a retail operation. An anywhere, anytime wireless connection provides the real-time information needed to streamline business processes, increase productivity and enable more strategic decision-making. Support for wireless printing, wireless headsets and more via wireless PAN simplifies everyday use for end-users, while the ergonomic pistol-grip design provides comfort in scan intensive applications, such as shelf price audits and inventory management. 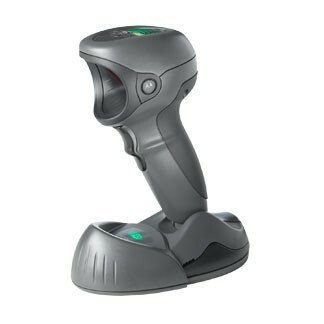 Empower mobile workers with real-time comprehensive advanced data capture capabilities in a rugged handheld computerStreamline your business operations, reduce errors, and increase your productivity and profitability with the power of the MC9190-Z RFID from Zebra. The device provides mobile workers throughout the supply chain with complete data capture functionality and real-time connectivity to critical business applications. Workers can read RFID tags, and capture 1D and 2D bar codes as well as images, ensuring seamless integration throughout the enterprise — even when multiple types of product identification and tracking systems are deployed. The 8300 is built tough and works hard through the longest shifts so you can get more done in less time for less money. Yet it's a portable and ergonomic mobile computer for comfortable use all shift long. 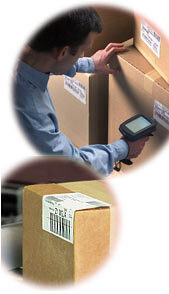 With both optical scanning and RFID, you're ready for fast, accurate data capture using barcodes and RF tagging. The 8300 is equally at home in retail, healthcare, and warehousing. From pharmacy and store shelves to patient rooms and loading docks, 8300 data terminal puts powerful, economical AIDC computing in your hands. CipherLab 1860 series handheld RFID reader gives you extended RFID reading and writing capabilities via Bluetooth® pairing with user's existing mobile devices. Enabling to read tags up to 1 m (3.3 ft.) and 5 m (16.5 ft.) away and simultaneously capture various EPC Gen 2 (ISO 18000-6C) tags, it makes RFID data collections easy and efficient for users. 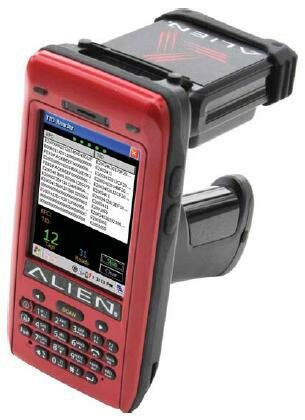 Combining with powerful software for easy configuration and customization, the 1860 series handheld RFID reader is the ideal companion to help enterprises smoothly adopt the RFID technology into the existing operations.